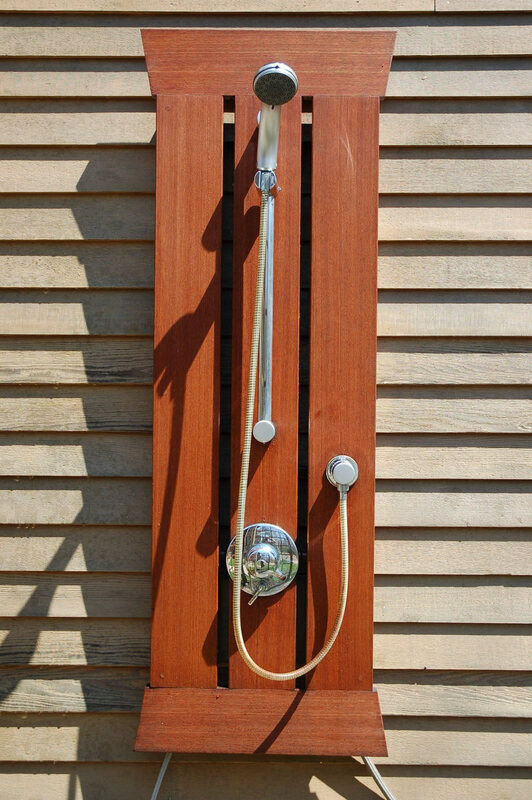 Mahogany outdoor shower ready to wash sandy feet. Entire piece hangs on an outside wall and can be easily stored away for the off-season. Can be built to match your home’s exterior style. “I've hired Fred to do many projects in my home over the years, from the laundry room to bedroom desks to our fully reconstructed kitchen with cabinets, island and a wet bar. He worked with my designer and shared some great solutions for functional and beautiful design concepts that allow me to use the entirety of my kitchen – even the normally unusable space. Fred is the best person I've ever worked with, from the great work, to fantastic ideas, to not cutting corners. He is such a professional craftsman!"